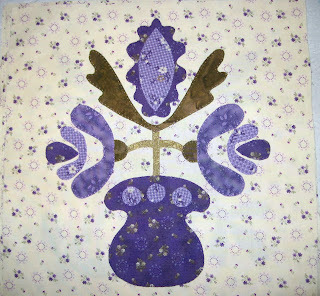 These blocks are special because I made them from patterns provided by Barbara Brackman during one of her lecture series at Prairie Point Quilts. I love attending Barbara's classes because I learn so much; she is a wonderful teacher. I try to keep up with her projects, but usually I fail. 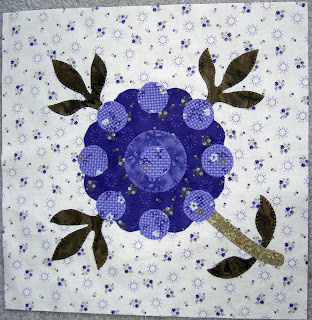 Barbara based these blocks on blocks appearing in quilts made during the Civil War. 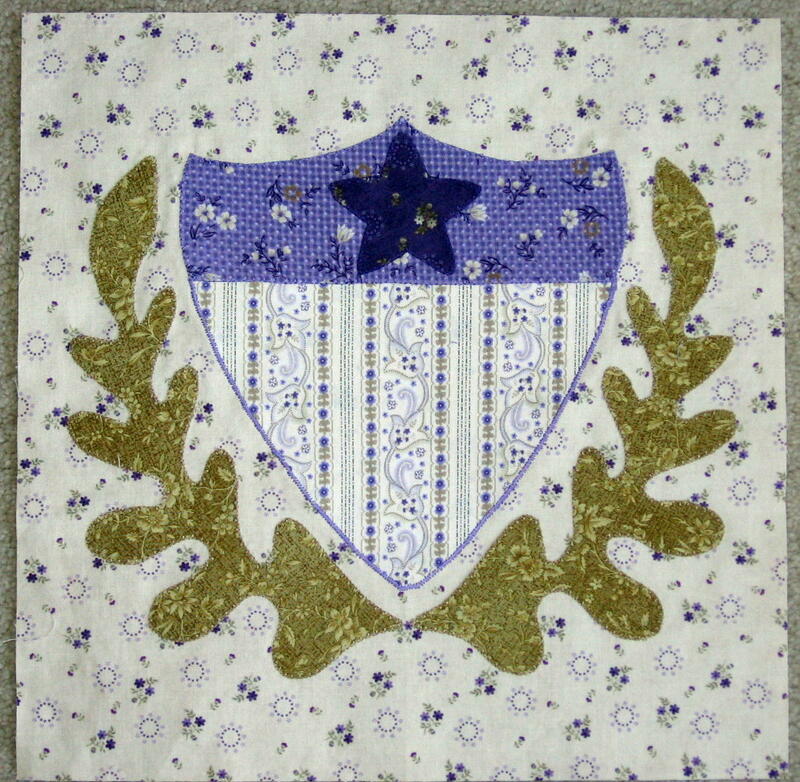 Because these blocks are intended for an eventual gift, I chose non-Civil-War-era colors for my blocks. The blocks are mainly purple, but that color looks more like blue on my monitor. 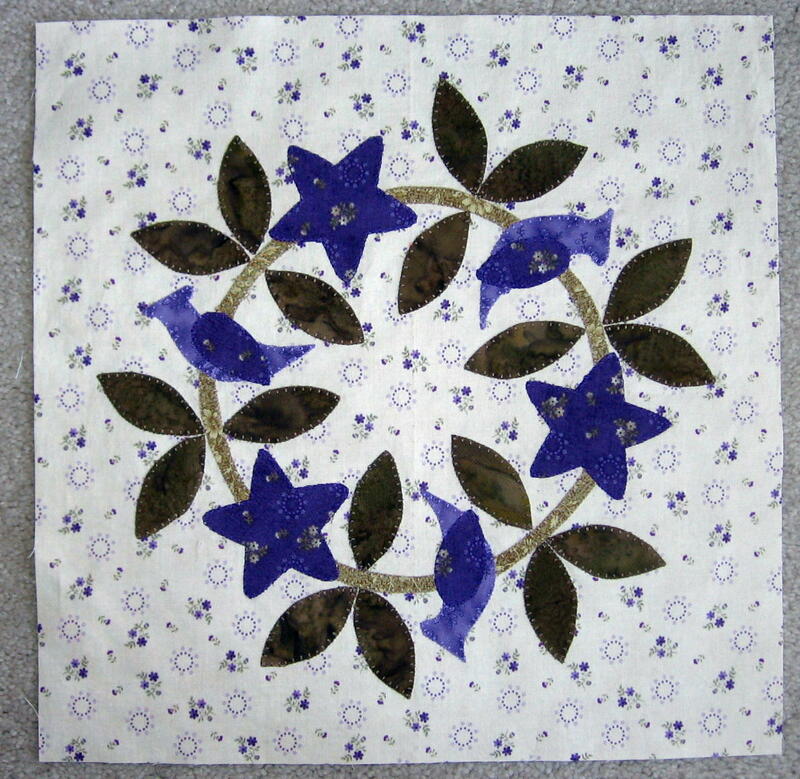 This block is called Civil War Reunion. 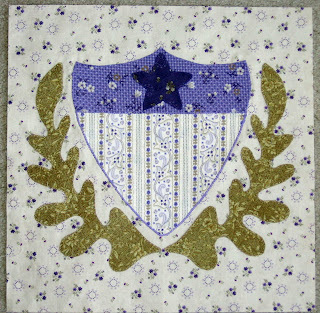 I satin-stitched around the edge of the shield applique to differentiate it more clearly from the background fabric (which is one of my favorite fabrics of all time). 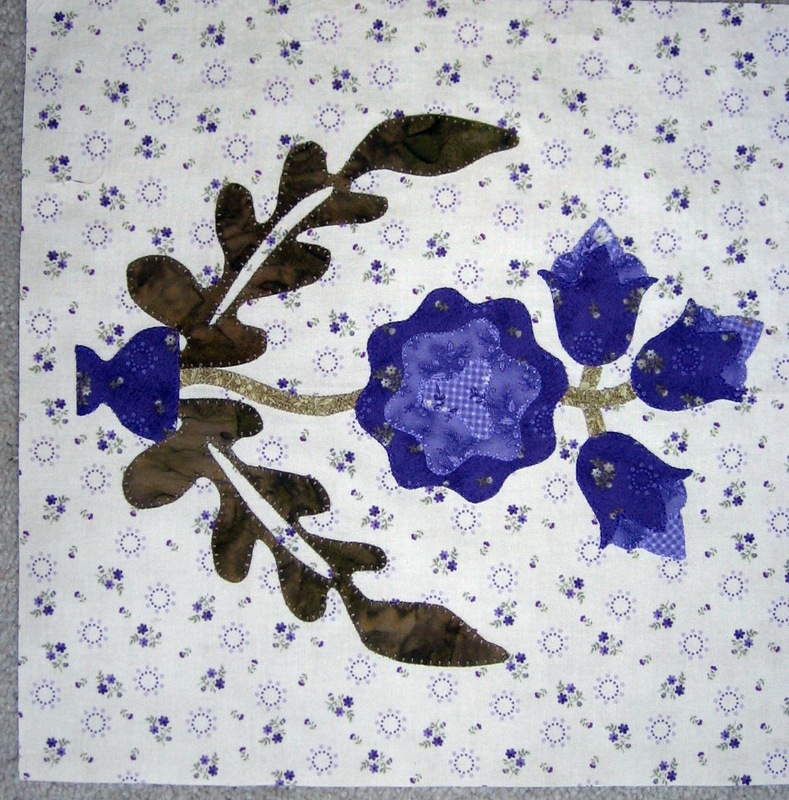 This block is called Dixie Rose. 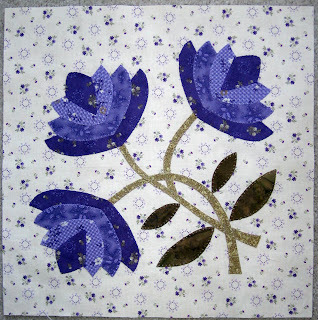 This block is called Indiana Bouquet.. 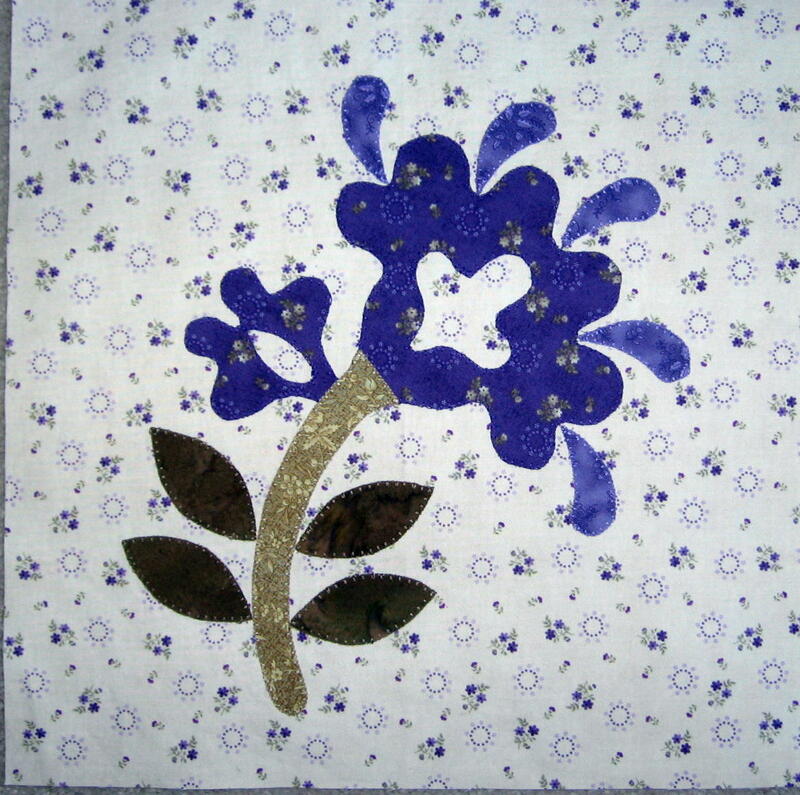 This block is called Midlands Lily. This block is called New York Lily. For some reason the photo uploaded upside down. This block is called Northern Lily/Southern Rose. For some other reason, this photo uploaded sideways. 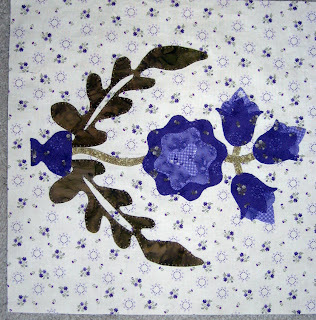 This block is called Seth Thomas Rose. 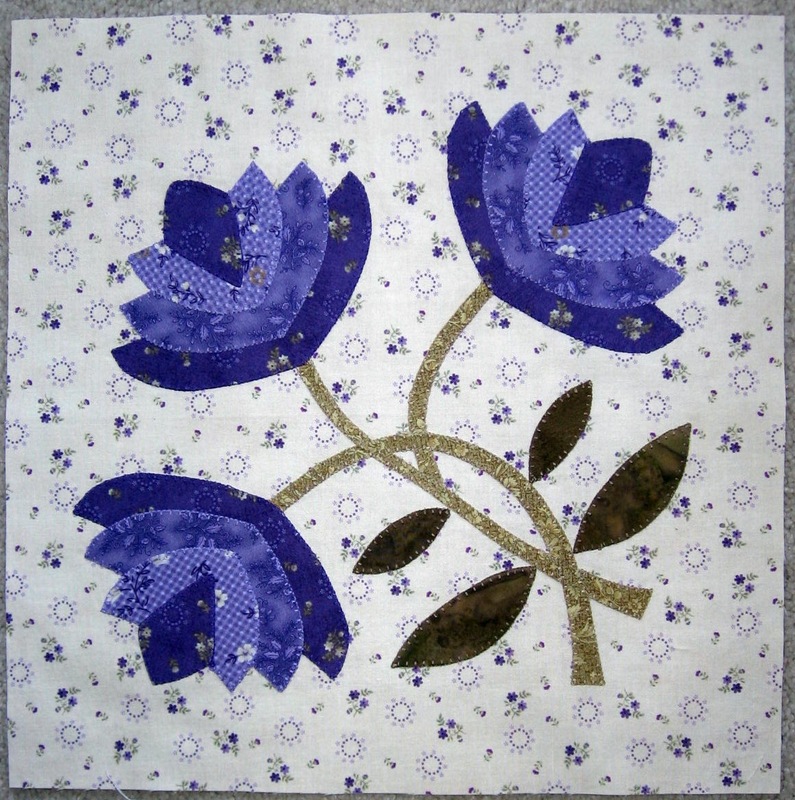 This block is called Snowdrop Lily. 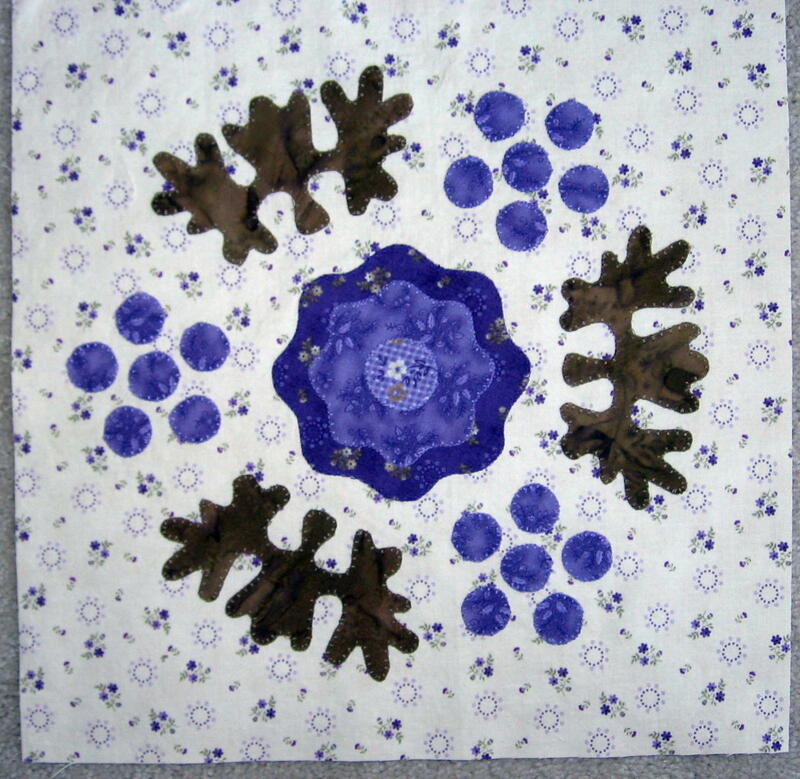 This block is called Tennessee Rose Wreath. I can't decide which of the above blocks I like best, but it might be Snowdrop Lily. 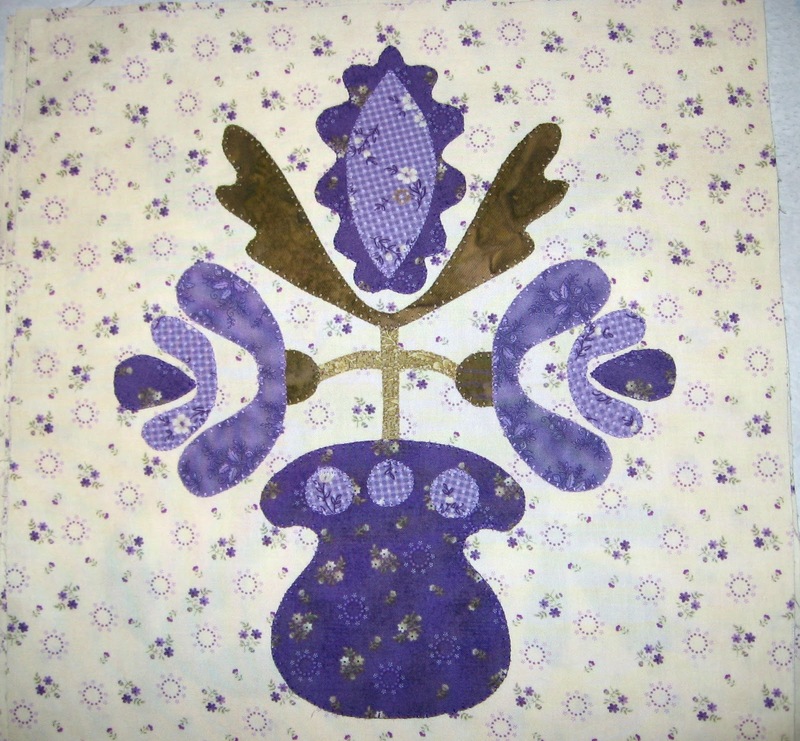 My background is in engineering, so the symmetry of the block probably adds to its appeal in my case. 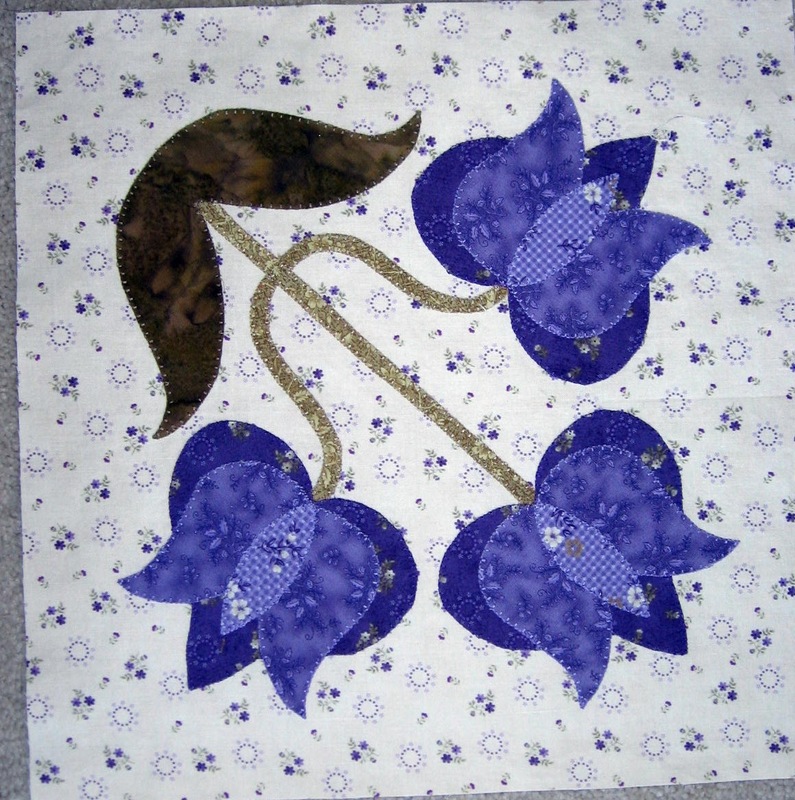 I like all the lilies.